Theresa from Hull Training/Endeavour was back with us today – this time with some Childcare pupils looking at communication skills with young people with individual needs. 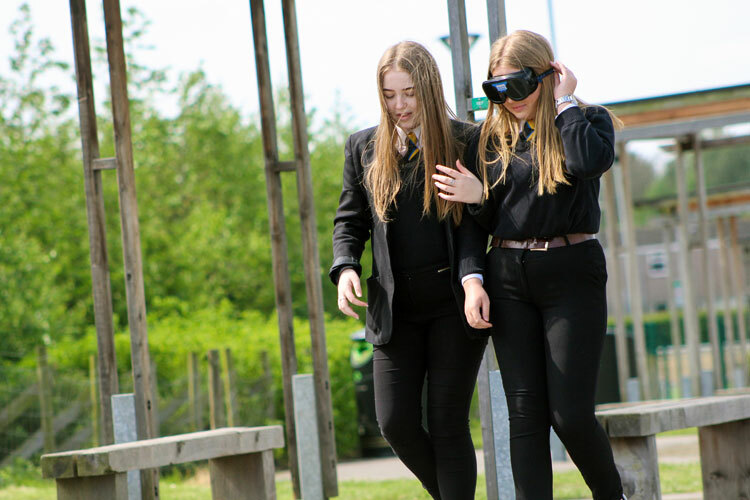 We guided each other around an obstacle course… no major disasters although a couple of people nearly took a tumble! 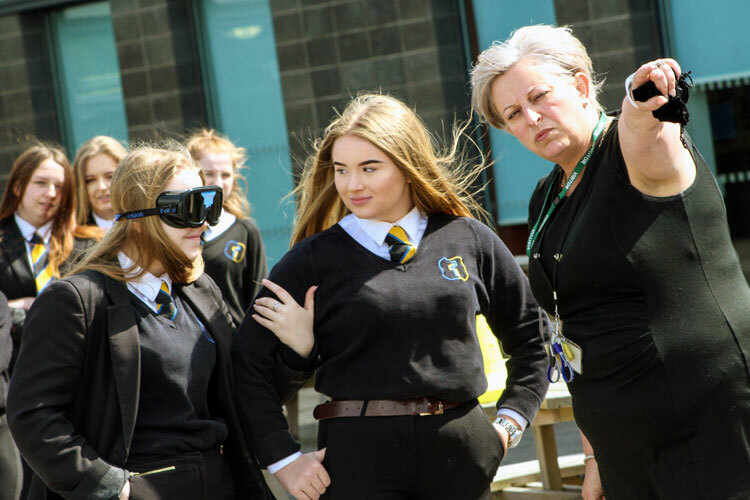 We had a visit from Theresa from Hull CC/Endeavour today; she had the Year 10 Health and Social Care pupils participating in communication and care activities. 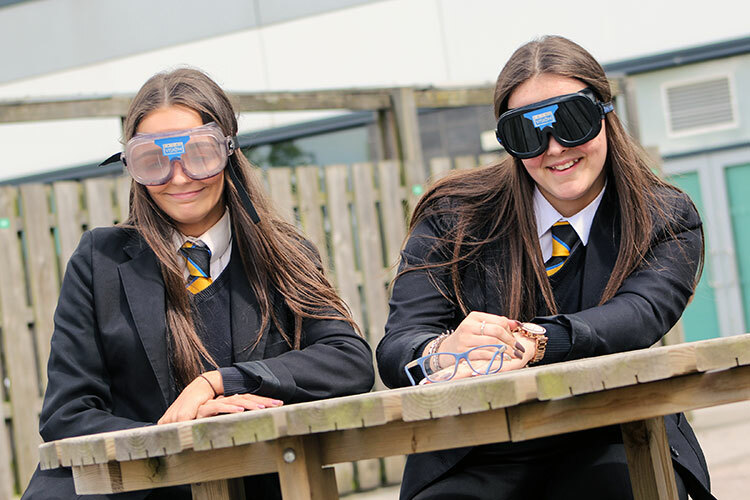 They were experiencing for themselves what it was like to have eye and balance conditions such as macular degeneration, blindness and vertigo. 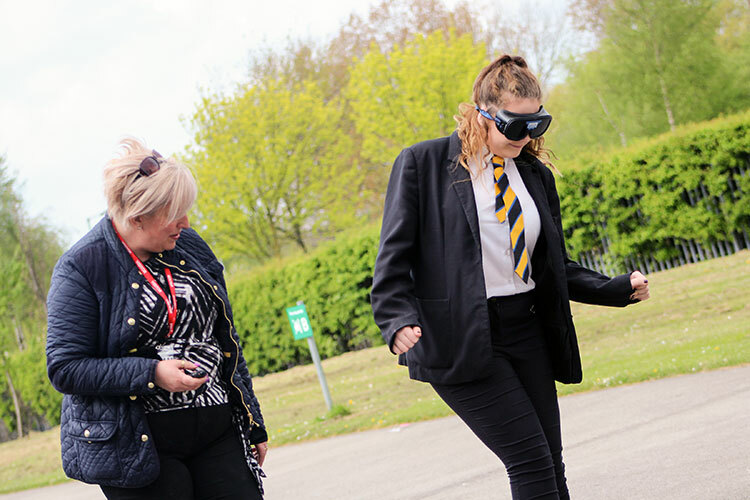 The pupils guided each other around various obstacles while wearing glasses that simulated a range of issues affecting sight, helping them to understand how someone who is vulnerable in this way might feel while going about their daily lives. 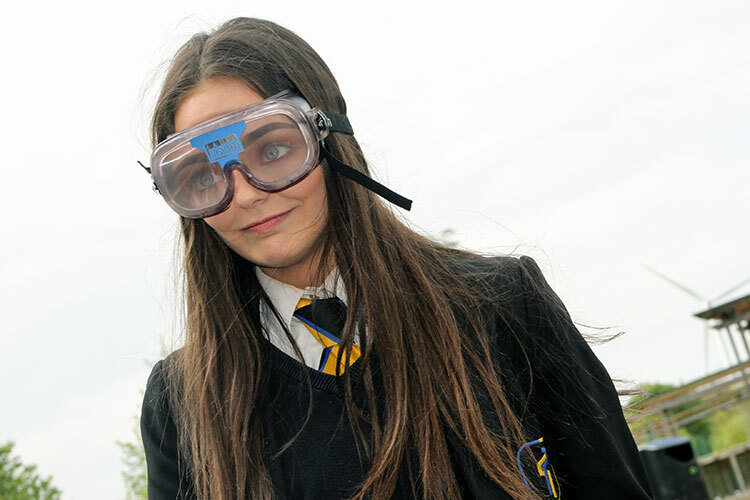 They then tried to ‘walk the line’ while wearing ‘beer goggles’, simulating the experience of some vertigo sufferers – some of our pupils were more successful than others! 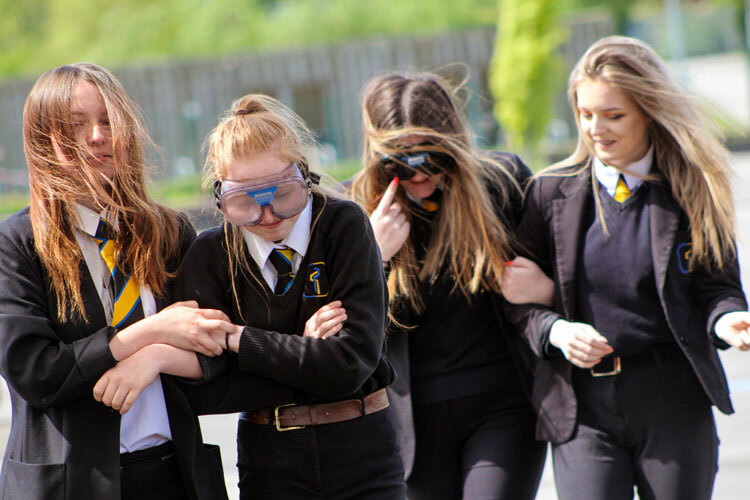 All Year 10 Childcare pupils have now completed the Tinfoil challenge – making a model obstacle course out of only tinfoil. Winners (the House with the most pupils across the 4 winning teams) with 5 winning pupils were Wawne. Well done to Team Wawne pupils: Abbie, Lilli-Mae, Kiera, Charlie and Megan. Wawne have now won both Childcare House Competitions. Well done ladies. Congratulations to Team Wawne who have won the Year 11 Childcare Mastermind competition. The group battled it out over three tough rounds of questions but Mea and Alishia were today's overall champions! They narrowly beat Team Hedoncrofte and Team Riseholme to the main prize. After being knocked off the top spot last week, Team Wawne will welcome the 500 House points won today.